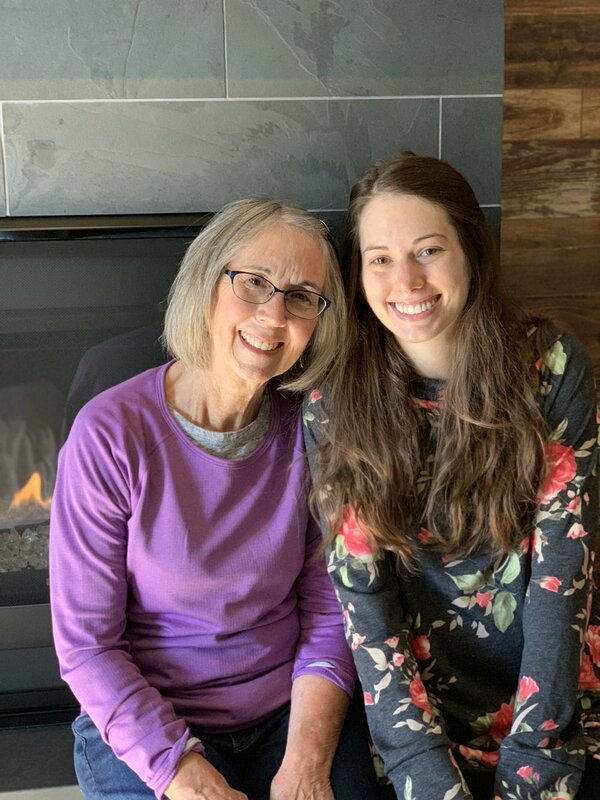 Fortunately, my sister and mom live nearby and decided that even if we couldn't do a traditional baby shower together we could still celebrate in a fun way. 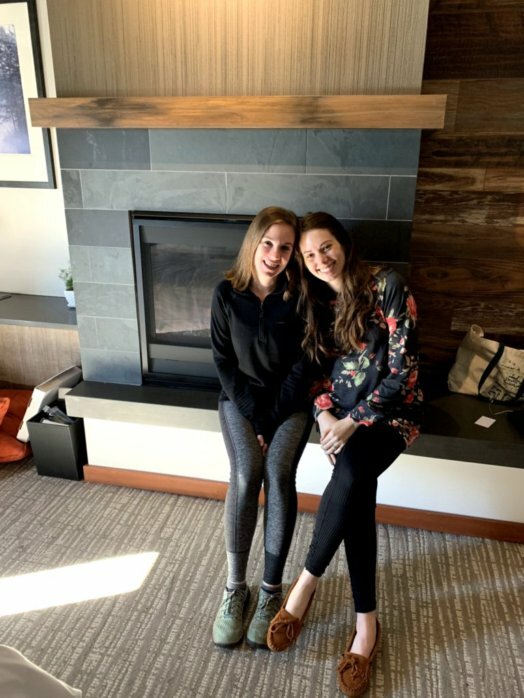 They booked a girls weekend for us at the Salish Lodge & Spa in Snoqualmie, Washington. It's less than 2 hours from my house so totally within my approved travel distance! Our agenda: eat good food, spend the day at the spa, and have one night to spend way too much money to watch a movie with pizza room service. Mission accomplished. If you are expecting and your care team clears you for a prenatal massage, I totally recommend it! In addition to the massage, we also had privileges to use the Spa before and after our treatment times. I spent my time in the relaxation room by the fireplace reading—something I hadn't done in ages (I'm an Audible person these days, but I brought along Jhumpa Lahiri's Unaccustomed Earth for this trip). This trip also marked the first time a stranger acknowledged that I'm most definitely pregnant. I've officially transitioned out of most of my pre-pregnancy clothes after slowly adding maternity clothes into the rotation over the last several months. Now that it's fall and cooler out, the majority of my day to day outfits are maternity leggings paired with an oversized sweater or maternity blouse. As a style ambassador, Pink Blush gifted me a super soft and cute sweatshirt that I picked out from their collection of maternity hoodies & sweatshirts. It arrived the day before we left, so of course, I had to pack it! You can snag the same floral boatneck sweater from Pink Blush here! It's closer to a dark charcoal rather than a true black, but pairs really well with black leggings or jeggings and bonus—it has pockets. You can see I am an outfit repeater and wore it with leggings & moccasins during our spa weekend, and here am wearing it with leggings & long fuzzy socks during a work day (work from home benefits = always slippers & socks). 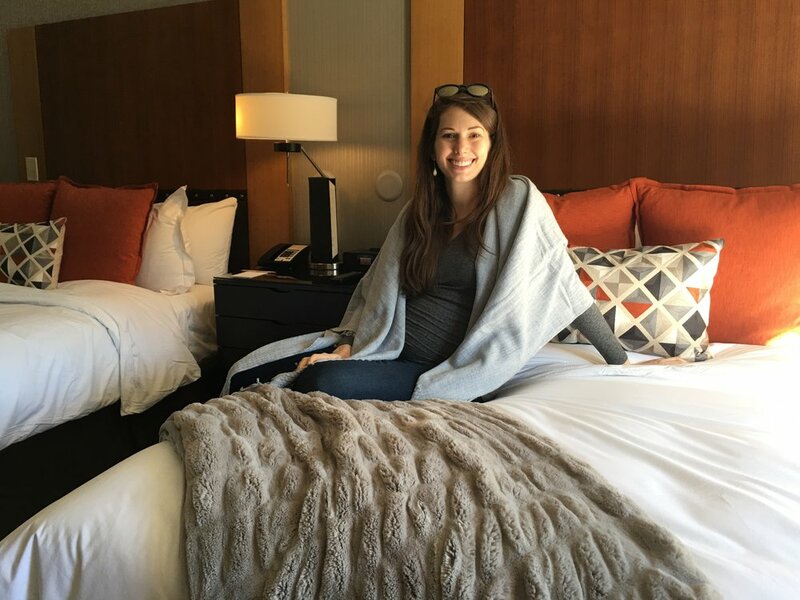 I'm so grateful that I took intentional time away with family to celebrate during this pregnancy, even if it didn't look the way I expected it to. You don't need to have a baby shower to know how loved you and your little one are! The time goes by so quickly, so don't forget to find ways to celebrate even if it's a bit non-traditional.